Does Peeing Clear Really Mean You’re Hydrated? Every time I visit the locker room of a pro sports team I make sure I visit the restrooms. Often I’m genuinely answering the call of nature. But even if I don’t really need to pee, I’ll usually make an excuse to go and take a quick look, out of professional interest. Now, I know that sounds a bit weird, but hear me out. What I tend to look for is an ‘Armstrong Chart’ pasted up on the wall above the facilities. Armstrong Charts look a bit like a paint color swatch you’d find in any hardware store. They show a range of 8 hues gradually transitioning from off-white, through various shades of yellow, to finish on a nasty greenish looking brown. These charts can be found in nearly all bathrooms in elite sports facilities. I’ve spotted them in the toilets of just about every single NBA, NFL, MLB, NHL, NCAA College, Premier League soccer and rugby team that I’ve visited over the last 10 years. So, why are we obsessed with checking urine color? The Armstrong Charts take their name from Dr. Lawrence E Armstrong, who ‘invented’ the concept of taking a close interest in your urine output and he’s most famous for attempting to validate his chart’s accuracy for predicting hydration status in two papers published in the International Journal of Sport Nutrition in 1994 and 1998. The messaging that accompanies these charts is that if your pee color is within the 1-3 (pale) range, then you’re ‘well hydrated.’ If you’re somewhere in the middle (4-6) you might well need to drink more. And if—heaven forbid—you find yourself in the 7-8 (dark) area; you’re definitely classified as ‘dehydrated’. In the team sports environment, these posters are often appended with provocative statements from team management. If you’re not in the 1-3 zone, you’re letting yourself down, you’re letting your teammates down and you need to DRINK MORE! I believe the charts—and the widespread and vigorous promotion of the research that helped to validate them—are the main reason sports people are often obsessed with the color of their pee (and what that means for their hydration status). But, recent research has cast some doubt over exactly how valid using only urine markers to monitor hydration status might be all of the time. I asked the lead author of the recent British Medical Journal paper ‘Dehydration is how you define it: comparison of 318 blood and urine athlete spot checks’, Dr Tamara Hew-Butler (with whom we actually collaborated with on some research into the cause of hyponatremia in sports last year) to give me a quick summary of what she thought the main take home points from her research were for athletes. She added that the science behind these urine color charts mainly came from looking at the accuracy between urine variables (i.e. color versus urine specific gravity versus urine osmolality) with changes in body weight (also cheap and easy to measure). “Very few studies looked at urine versus blood variables. Studies (like ours) that looked at blood markers of cellular hydration (which is what doctors look at when assessing hydration status in patients) found NO relationship between cellular dehydration (blood sodium above 145mmol/L or “hypernatremia”) and urine concentration” says Hew-Butler. Our body defends against cellular dehydration by changing the amount of water retained or lost by the body. So, dark colored urine just means that our body is retaining water to protect cell size. Essentially Dr Hew-Butler says that, while there’s definitely a relationship between how much we drink and the color of our pee, it doesn’t necessarily always correlate with our actual hydration status at a blood and cellular level (where it really matters). I find this extremely interesting because I’ve increasingly felt that our obsession with ‘peeing clear’ is not necessarily a completely helpful message to be promoting to athletes. Because the “clear pee = well hydrated” message has been pushed so hard, I’ve witnessed highly motivated athletes over-drinking routinely in a bid to always pass large quantities of transparent urine. They believe that anything less than clear is somehow sub-optimal. I’ve also seen pressure put on athletes by coaches or sports medicine staff. Sometimes they’ll actively test ‘urine specific gravity’ or ‘urine osmolality’ on a daily basis, with punishments for athletes who present with dark colored urine. This can often result in some significant over-drinking going on before pee tests, and even the watering down of urine samples in the changing rooms. I kid you not. Pro tip: if you’re going to do this, use the hot tap, otherwise the Pee Test Officer may become suspicious when you hand over a cup of stone-cold pee. Placing such specific and heavy emphasis on urine color as THE critical hydration metric incentivizes athletes to focus on over-drinking, rather than just drinking appropriately. It also fails to adequately promote the message that, although being chronically dehydrated is definitely bad, so too is chronically over-drinking. Hyponatremia (the dilution of the body’s sodium levels due to excessive water), can easily ruin your event, and can even be life-threatening in the extreme. There’s a proven tendency in sports medicine (and—to be fair—in most walks of life) to focus on measuring and improving metrics that can be easily measured/quantified. This is what seems to have happened in the quest to quantify hydration status, after all, it’s something that most coaches and athletes are, quite correctly, interested in getting right. Boiling hydration down (pun intended) to an overly simplistic chart misses many important nuances and creates the potential to misinterpret a key message. It can even drive behaviors that aren’t actually helpful. i.e. to promote over-drinking. So, should you be bothered about the color of your pee at all? Despite the weaknesses of the ‘Armstrong Chart approach,’ I do still think that keeping an eye on the color of your pee can be a useful tool in helping to manage your hydration status, as long as it’s not the only tool you use. If you’re regularly nearer to the ‘8’ end of the scale than the ‘1’, then it might be worth experimenting with taking in a little more water or sports drinks, especially around times when you’re working hard and sweating a lot. See how that makes you feel and whether it’s of benefit. And if you’re always seeing 1-2 colored pee, then maybe you could think about dialing back your fluid intake a touch to see if you’re over-doing it a bit. Again, how you feel overall after making these adjustments will give you the best idea of whether you’re better or worse off as a result, and that is of course what actually matters most of all. But I do think it’s important that we start to move away from the overly simplistic idea that if your pee is clear you’re definitely hydrated, and if it’s not, you’re definitely not. 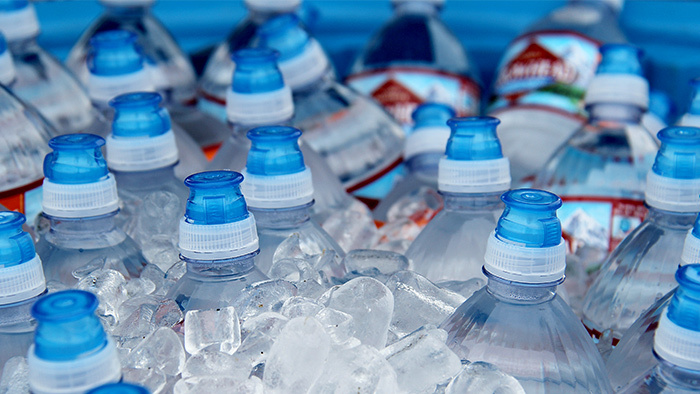 If what you’ve read here has piqued your interest and you’re keen to get a more detailed handle on how your hydration status is fluctuating on a day-to-day basis, I wrote another blog on ‘how to tell if you’re dehydrated.